Aventis Systems will be carrying Subscription Licensing for Bitdefender GravityZone Security for Linux Mail Server software. License term limits range between 1-3 Years and cover one Linux mail server per license. 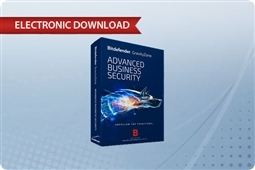 Shop our selection of Bitdefender GravityZone Security for Linux Mail Server licensing options below and start protecting your Linux end user mailboxes with an adaptive and intuitively managed threat detection software today!